At the seductively stylish and cutting-edge Salon at Arden Hills, expert stylists understand the importance of healthy and beautiful hair along with the transforming power of expertly applied makeup. The talented team of stylists perform the latest cuts, styles, techniques and beauty trends and can help advise interested clients yearning for a fresh new look. We believe that extensive in-house skill certification ensures consistent quality across-the-board. In fact, weekly in-house educational forums are an important part of the structure at the Salon. 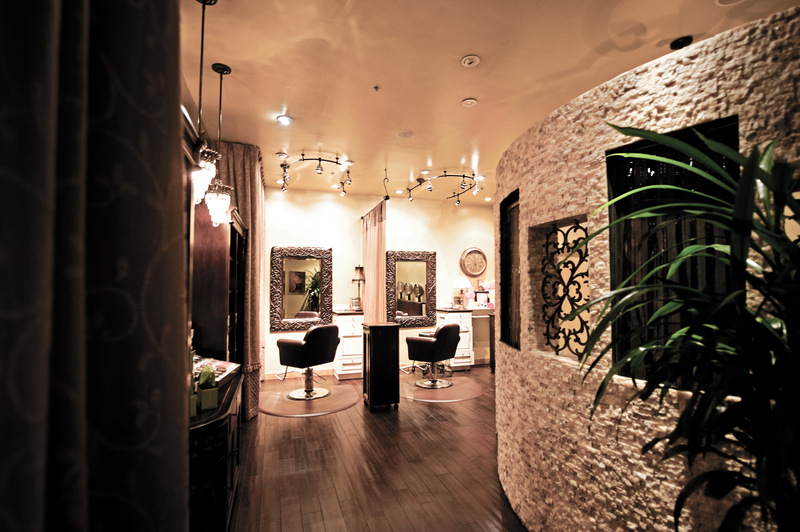 In turn, our highly-trained staff is then able to provide exceptional service for every client who becomes a part of The Salon at Arden Hills family. Our expertly-trained stylists can turn flat, shapeless hair into a blown-out and beautifully styled look in mere minutes. Professional blow-outs are perfect when you’re on-the-go or any time you want to make a great impression. The luxurious Shampoo Room at The Salon at Arden Hills is a special treat. While reclining in a soothing massage chair, you’ll relax in a room with a stunning stone waterfall trickling on the wall in front of you, enjoy a hot towel service around your neck and amazing scalp massages during your treatments. Be sure to book your next salon service today! The talented team of professional stylists at The Salon have perfected the art of providing picture-perfect hair and make-up services for brides — or entire wedding parties! — either on-site or on location. Our highly skilled and experienced team can create the look your heart desires to make your memorable day as smooth and as special as possible.